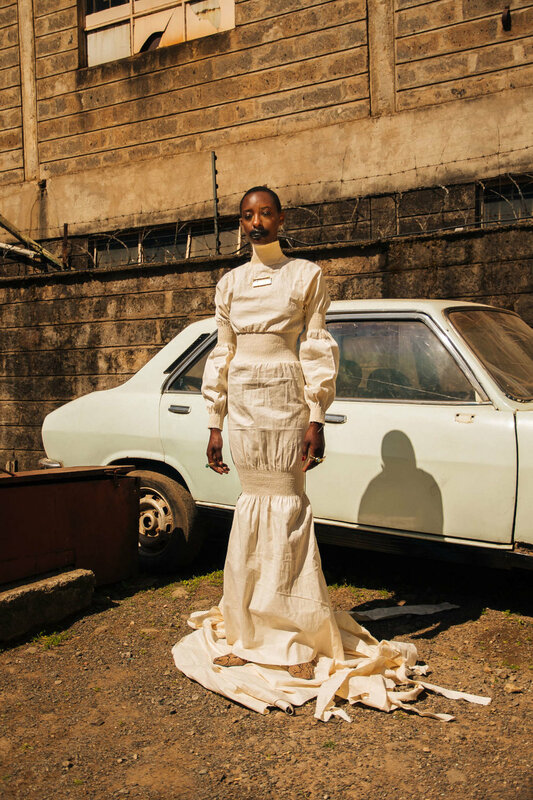 For AW19, Lagos-based designer Bubu Ogisi of IAMISIGO gives praise to the east African legend of Queen Nyabingi, and her earthly priestess Muhumusa, who is famed for using both her spiritual and military might to fight colonialism and establish women’s rights. 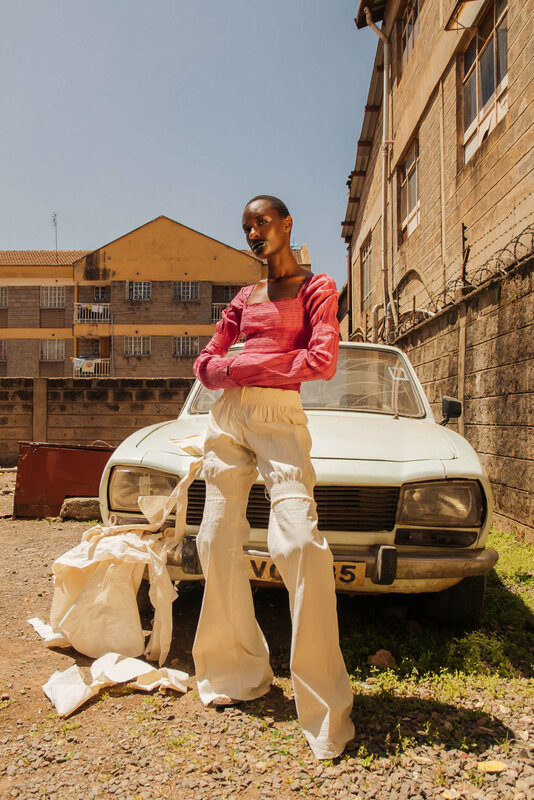 This narrative is then woven into a different tale, that of the troubled history of cotton production, trade and consumption on the continent which to this day does not rightfully give back to those who grow it. Ogisi’s Cotton Is Queen collection of raw silhouettes is made from unbleached plain and twill weave canvas, which has been hand dyed with splashes and dips of natural maroon, brown, grey and black. 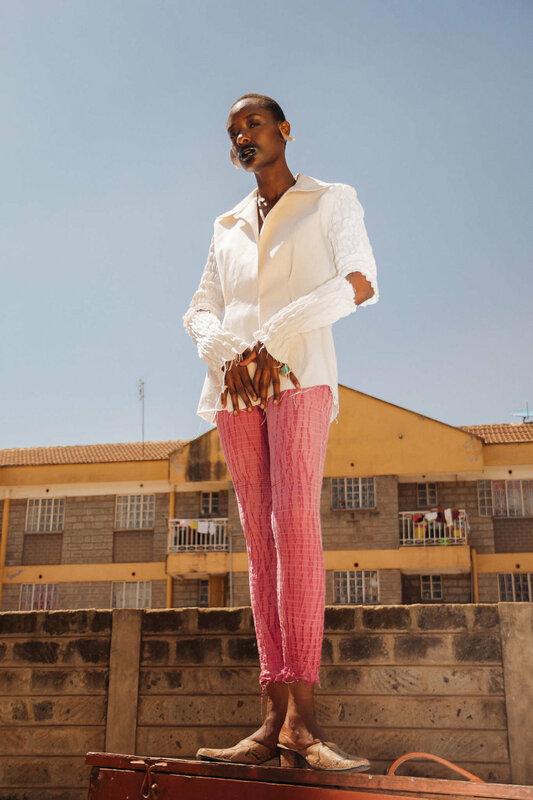 Simple shapes such as wide trousers, long blazers, leggings, maxi dresses and ballet tops are given texture with the addition of bag tie fastenings, ruching and elastics or are torn and ripped strategically. These are clothes to ward you against evil, cover you in healing properties and ready you for dialogue with the ancestors.